LIBERAL, Kan. – Struggling to find a game sponsor for Wednesday’s basketball games against Coffeyville during a busy 18 game home schedule, the Saints Athletics Department had a savior walk through the doors of the Greenhouse last week as a member of the Liberal community stepped to the plate to personally sponsor the game. The individual, who insisted they not be named publicly said simply that their family had had great experiences while attending Seward County Community College and that they wanted to do something nice for the community with the donation. Thanks to that individual, free tickets for Wednesday’s games against Coffeyville are now available at Pizza Hut, Freddy’s, Old Chicago’s, Chrysler Corner, First National Bank, and Community Bank locations in Liberal. 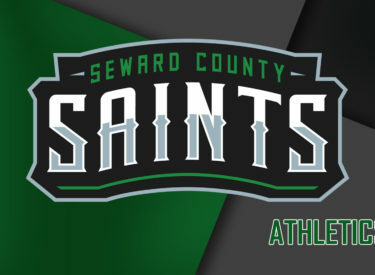 The Saints and Lady Saints will tip off against the Red Ravens at 6:00 and 8:00 Wednesday, again, with free tickets at the aforementioned Liberal locations.